All three of us photographers here at Adventure Instead have eloped ourselves. Being on the other side of the elopement planning and photography process (i.e. being the BRIDE) was crazy enlightening and eye-opening. We think a lot of folks have the idea that eloping is sort of “copping out” of taking the time to plan a big wedding. While yes, you don’t have the stress and pressure and financial obligation to 100+ people when you elope, that doesn’t mean that planning it is easy. It’s not easy to figure out where to have the most perfect day with your partner and how to make it as intentional, meaningful, and unforgettable as possible. While big weddings have a pretty set format and structure that you can add your own personalization to…there isn’t a template on what an elopement day should look like. The freedom of being able to do whatever you want, can be incredibly overwhelming. One of the biggest things we noticed while planning our own elopements is that there were hardly any good resources out there to help couples plan their elopement days. A quick google search will reveal hundreds of great “wedding planning guides”, but hardly anything really useful about how to plan an elopement. So, for the last month, all four of us (Maddie, Amber, Tori, and Bessie), have been working SUPER hard on creating the most comprehensive incredible “Ultimate Elopement Planning Guide & Checklist”— it’s a 30+ page PDF, jam-packed full of info based on a collective 10+ years of experience planning and photographing over 150 elopements (including our own), and we are BEYOND STOKED to share it!!! We found that elopement planning is not a linear process with clear, consecutive steps. It happens in stages. As with climbing most mountains, there are many ways to the top— but if you feel lost you can download and follow this guide. Read on below for a little peek into some of the information provided in our Ultimate Planning Guide & Checklist. All the best plans start with a quality brainstorming session. One of the best things about eloping is that you can truly go to the most awe-inspiring places in the world to say your vows. The goal of the dreaming and brainstorming stage is to form an overall vision for your day including a general are of the world and time of year you would like to elope. The best way to dream and brainstorm is to sit down with your partner, some place comfortable and imagine your perfect elopement day from start to finish. Try doing it on your favorite date night, or cuddled up at home with your favorite beverage. This stage isn’t about getting bogged down in details, what’s possible or not, or what’s realistic. It’s okay to keep your ideas vague. Have fun imagining all the possibilities. For additional help and a list of things you should consider during this dreaming and brainstorming time— download our free Ultimate Elopement Planning Guide & Checklist! However fuzzy your vision of what your day looks like, it’s a great place to start! At some point during Stage 1 or Stage 2 is when most couples choose to contact us as elopement photographers and guides. We love helping couples turn their “fuzzy” vision into a concrete plan with our extensive travel knowledge, location suggestions, and planning tools! Once you’ve come up with the overall vision for your day, Stage 2 is all about digging deep into research and figuring out what’s feasible. Your goal with this research is to make your adventure elopement vision a reality in the best way possible. This will allow you to start finalizing details. Just like with Stage 1, we suggest creating a relaxed and fun environment to enjoy this process. Sit on your patio or couch with your laptops or phones— or go hang out in the travel book section of a bookstore after a coffee date and enjoy. What are the local marriage laws and requirements? How accessible is your site? Do you need a permit to have a ceremony or photos taken there? What is the weather like? How do you need to prepare? What kind of activities do you want to do? Do you want to do some sort of celebratory meal/drink? If you’ve had trouble with this stage or feel like you’ve gotten stuck— don’t be afraid to ask for help. It’s worth getting the right support to make your dream elopement day possible— it only comes around once, and you deserve to say your vows in the incredible way that you imagine. For more information and other important logistics you should consider when planning your elopement day, download our free Ultimate Elopement Planning Guide & Checklist! 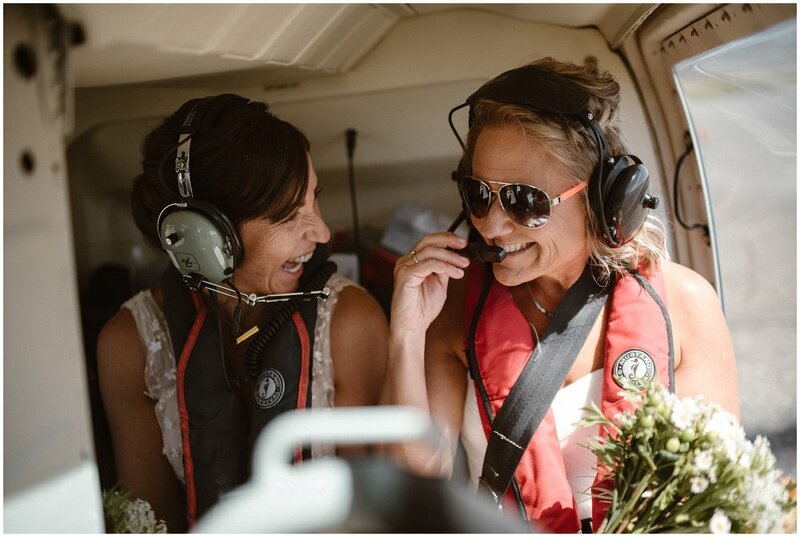 As elopement photographers and guides— Stage 2 is where we tend to help couples the MOST with their elopement planning process. We absolutely love helping make your vision come to life. Now that you’ve decided what is important to you and you’ve dug deep into research, it’s time to make some choices and start booking things! A great starting point is to pick your date and spot. Consider what dates hold meaning for the two of you, Does your date work with your dream lodging or location? Does it work for anyone joining you? Don’t forget to check for holidays and special events that may also affect your chosen elopement location. For picking your spot, decide on the general area that you want to have your ceremony. The exact spot where you stand to say your vows can still be spontaneous and decided on your day— just be sure about the general area so you can confidently book lodging and transportation. Once you’ve nailed down your date, location, and booked lodging, the hardest and most pressing parts of your planning process are complete. Take a break to celebrate, tell your family and friends (if you want to), and start getting excited that you’re one step closer to your dream elopement day! You are in the final stages of your elopement planning process and it’s getting exciting! Stage 4 is all about filling in the details now that you have the main parts of your plan set into place. There’s a lot of things to keep track of in this stage— so we’ve formatted it like a checklist! We suggest breaking up the many decisions into bite-size pieces. You can set due dates in your calendar, or keep a running to-do list. 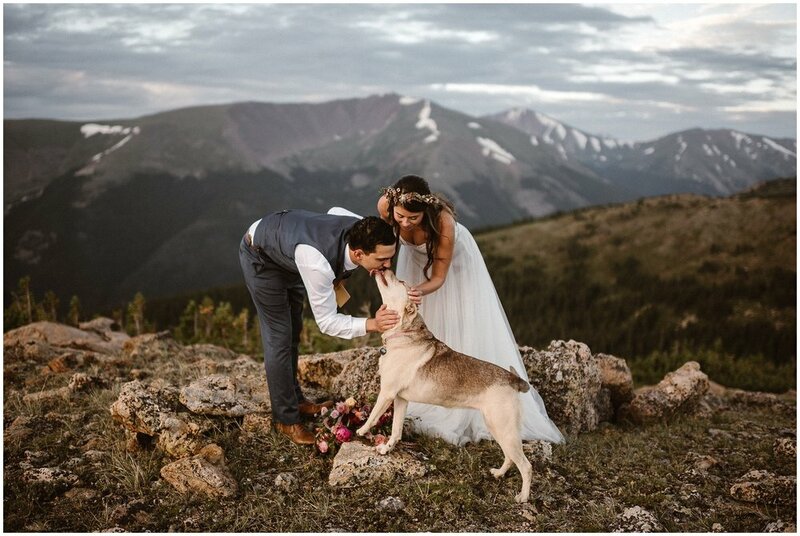 Download our FREE Ultimate Elopement Planning Guide & Checklist so you can continue to plan your dream elopement and check items off as you go along! Gathering and purchasing your attire and accessories. Planning and booking any fun activities you’re doing on your day. Building your timeline and planning your ceremony for your day. The day before your elopement, make sure to relax, take it easy, and go to bed early. You have an important day ahead of you! StAGE 5: Have the best elopement day! You made it! All of your hard work brainstorming, researching, and planning is done. All that’s left is to enjoy the heck out of your elopement day! Be present with your partner and let your emotions fly. Make sure you soak in every moment and enjoy the time spent together. Enjoy your relaxed timeline and don’t worry about how you look. Don’t stress— if you have a great experience together, great photos will follow. When you return home, tell your friends and family! Have a party, barbecue, dinner, or reception surrounded by your loved ones. Consider ordering and album from your photographer so you can view the whole story of your day and relive the memories. Display your printed photos around your home to remind you of your perfect day. There is nothing better than the feeling of ditching the big wedding stress and making the brave choice to have a wedding day that truly honors and reflects your amazing relationship. We hope this guide sheds light on planning your elopement and brings you one step closer to your dream day. Download the full FREE Ultimate Elopement Planning Guide & Checklist filled with SO much more information to help your plan your perfect elopement experience! If you need any help along the way, we (Maddie, Amber, Tori, and Bessie) would love to help.